There are several of paintball venues in the London area and UK Paintball prides itself on offering the best possible parks and experience for its customers in the best locations. Here are some of the paintballing sites that we operate in London, for a full list of venues please see our homepage. 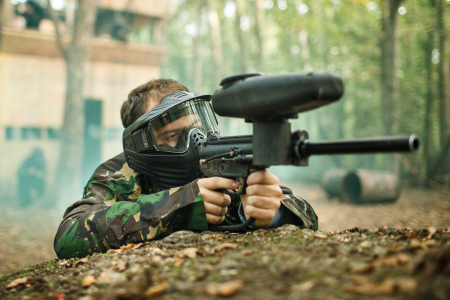 The paintball London sites are the premier venues in the area and offer the very best in facilities as well as customer care but most importantly value for money. The prime locations of these sites offer great links via car or public transport from any area of London. Outwood Farm Road, Billericay, Essex, CM11 2TX. Warren Wood, Newgate Street Village, Broxbourne, Hertfordshire, SG13 8NH. Lye Lane, Hertforshire, AL2 3TF.